Brooke Stafford is a junior at Penn State University. If you’re anything like me, you change your outfit like you change your Twitter status— frequently and shamelessly. One minute you’re at the gym in your cutoff tank and comfy yogas and the next you’re catching up with your hilarious roommate in your romper and Converse sneaks. You like to be on the move and on social media… which is why you always have your laptop or tablet attached to your hip. Thank goodness you bought a Gracie case to protect your electronics while you race from one place to the next. Wherever you are and whatever you’re up to, these four Gracie Case styles will make you a trendsetter on your college campus. The interview process is nerve-wracking. It’s hard to be bold, poised and chic when your jitters are taking over. The absolute last thing you want to be worried about is what you’re wearing. 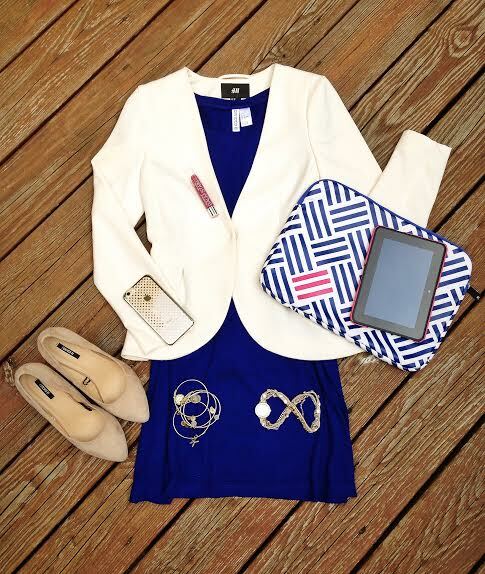 That’s why this little number is the perfect interview ensemble for you. I wore a similar outfit to my very first college interview. Even though I was ridiculously nervous, I felt comfortable and confident with my tablet by my side in case I needed to pull up my resume. Tip: Want to add a little flare to your outfit? Add a watch, a few bangles and some pink lip stain! You’ll look more on trend than ever. The best way to get out of a weekday slump is to put on a cute outfit for class. I know that I’ve had some rough, sleepy days where I’ve crawled out of bed and to class. I’ve found that on those crawl-to-class days I’m in desperate need of a confidence booster. Putting on an outfit like this always perks me up. Tip: After class is over for the day and you’re headed to the nearest Starbucks, try dressing up your jeans with some chunky heels and an army green jacket! Whether you’re lounging in your sorority suite or you’re taking a break from a long day of studying, this outfit is perfect for an evening of relaxation. 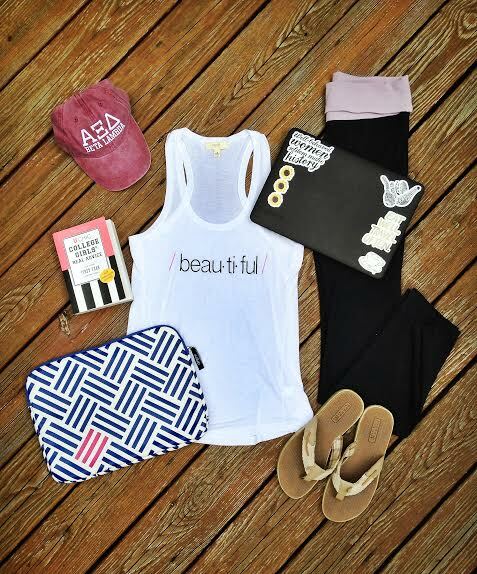 This comfy pair of yoga pants and loose graphic tank is the ideal outfit to put on after a long day of homework and test preparation. It also looks great with your Gracie, as you’ll most definitely be scrolling through your Pinterest page. Tip: Don’t want to do your hair? Haven’t showered in a week? 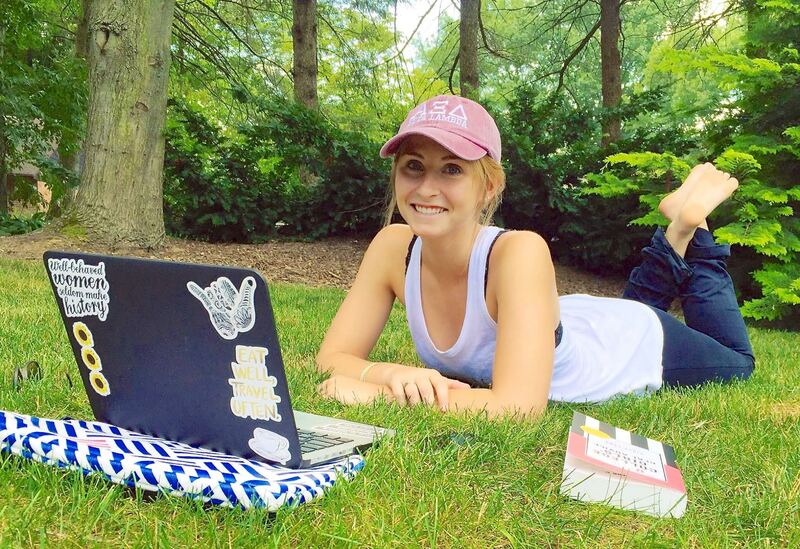 Put on a cute hat and represent your letters! The best way to relieve some stress is to sweat it out. This bright pink sports bra, white workout top and tight, cropped workout pants are perfect to wear to yoga or on the elliptical! 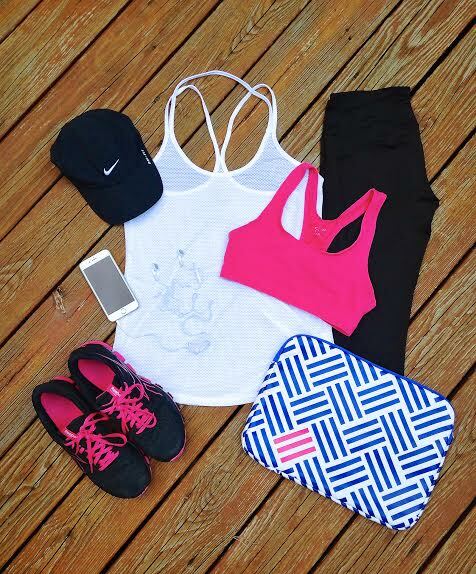 And the best part about this outfit is that it looks great with your Gracie as you travel to and from the gym. If you decide to skip the gym for the day or just absolutely hate to workout, then this outfit could also be the ultimate sporty look to wear to class! It’s comfortable and looks good on every body type. Tip: Tuck your headphones into one of the convenient pockets inside the Gracie case! They’ll be safe and sound until class comes to an end and it’s time to run to the gym.